Galactic made a recent appearance in the HBO series Treme, producer David Simon’s love letter to the culture and resilience of the band’s native neighborhood and their home city of New Orleans. The episode goes out of its way to point out that although Galactic is a funk band with white members, they are 100% legit. Spend a night with them, like their kickoff of a three-day run this weekend at Brooklyn Bowl, and you won’t need a TV show to make the case that great music, of any genre, is neither black nor white. Just ask guest vocalist Corey Glover, who is best known for his work in late-80s/early-90s phenomenon Living Colour, a band that reminded those who had forgotten that rock music is not “white” any more than funk, R&B and soul are “black.” Along with Glover, the band was joined at various points by NOLA legend Cyril Neville, Corey Henry of the Dirty Dozen Brass Band, and the night’s DJ, Questlove. Among many high points during the roughly two hour set, the band ripped through some classic rock covers, including Hendrix’s “Fire” and the night’s encore, a bombastic, funked-up version of Led Zeppelin’s “Whole Lotta Love,” and showed off some new material from their NOLA-all-star collaboration, Ya-Ka-May. The final show of this run is tonight, so get your tickets while you can. I recorded this set from along the right side wall, about halfway between the stage and the soundboard, with the mics up high to avoid crowd chatter, with my new Schoeps supercardiod microphones. The result is an excellent capture despite the somewhat challenging placement in the venue. I would appreciate help with the setlist – although I don’t want to make this a habit, I am still trying to process a long backlog of shows, and getting setlist assistance is a huge help. The fileset is otherwise properly tagged (both the FLACs and MP3s). Enjoy! 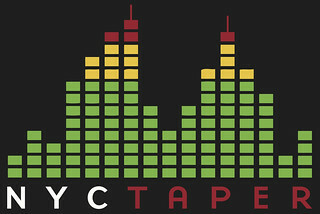 If you email nyctaper for access to this recording, we expect that you will PLEASE SUPPORT Galactic, visit their website, and purchase Ya-Ka-May and their other releases [HERE].